– The Southern Delaware Chorale (SDC), under the direction of Dr. Colin Armstrong, will present a concert performance of G. F. Handel’s Messiah, with the Mid-Atlantic Symphony and four professional soloists on Sunday, December 2, 2018. The group will begin heralding in the holidays at 3:00 p.m., Cape Henlopen High School, 1250 Kings Highway, Lewes, Delaware 19958. Dr. Armstrong is looking forward to welcoming more singers for the upcoming Black History Month concert on February 24, 2019 and the Spring performances with the Mid-Atlantic Symphony and spring concert on May 5, 2019. Tickets can be purchased online at Brown Paper Tickets for General Admission – $25.00 ($26.87 w/service fee) or Students, $10.00 ($11.34 w/service fee. Tickets are also available from any member of the chorale or at Puzzles in Lewes and BrowseaboutBooks in Rehoboth Beach. The Southern Delaware is a non-profit organization which promotes choral music in Southern Delaware by bringing together local singers of all ages who share a mutual love of good music. The Southern Delaware Chorale (SDC) proudly announces their 2018 – 2019 Lee Mitchell Scholars. The scholarship includes private voice lessons with the teacher of choice (up to $1,000 value) and participation in the Chorale 2018/2019 season. It also includes membership dues in the SDC, concert attire for the concert events and music. Rachel Bollinger, a Woodbridge High School Junior, is one of the Drum Majors in the Marching Band, where she also plays sousaphone and flute. 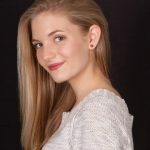 She is a member of the High School Select (audition-only) Ensemble and the Sussex County Honor Chorus and has been a part of theater since 5th grade. Grace Morris has performed her whole life as a singer, dancer, and actress. 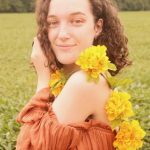 She is a Sussex Technical High School junior and since the age of eight, has been an active cast member of Clear Space Theater Company. She is excited to be broadening her horizons with further training with the Southern Delaware Chorale. She fee ls this will help her learn more about herself as a vocalist and performer. 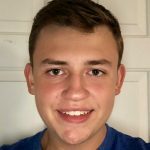 Jacob Slabonik attends Sussex Technical High School as a Junior and participates in Concert Choir, Chamber Ensemble, Raven Nation Marching Band, and STXpress Drumline. He has sung in the Junior All-State Chorus, Junior and Senior County Choirs, and participated in the Governor’s School of Excellence in Choral Music. 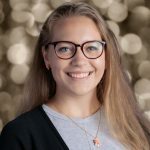 Hannah Wolk, a senior at Sussex Technical High School, participates in Concert Choir, Chamber Ensemble, Bella Voce, and Drama Club and serves as president of the Concert Choir. She has also sung in All-Stage and Junior All-State Chorus and with the Southern Delaware Chorale last year. She participated in the Governor’s School of Excellence for singing and intends to pursue music in college. The Lee Mitchell Scholarship program was established more than 20 years ago with an endowment from the family of the late Lee Mitchell, an internationally renowned pianist and composer. The scholarship award was initiated to advance the cause of music and arts among high school students. We’re working hard to update the look and function of the chorale website!